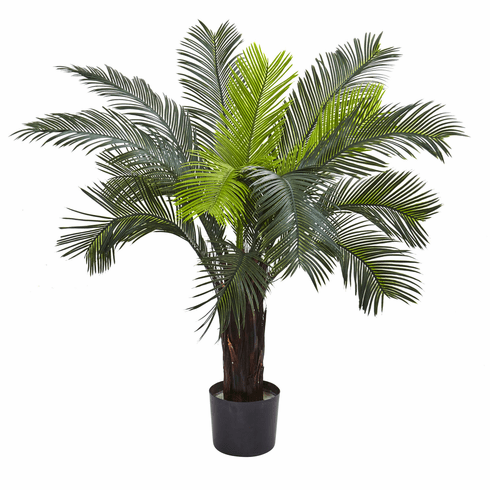 Standing at 3 feet tall, this beautiful Cycas tree will draw positive attention to itself for a variety of reasons. The 15 leaves of foliage are incredibly robust, comparable to a fountain like cascade of greenery. This tree is also UV resistant, protecting it from the sun, and making it perfect for both indoor and outdoor usage. Ideal for home or office, it also makes a fine gift. Height: 40 In. Width: 40 In. Depth: 40 In.